The current Corvette is experiencing painfully slow sales due to many factors that include the weather, the next-gen pending release, and the low volume sports car segment. The base Corvette Stingray delivers 455 horsepower, while the top-end ZR1 offers 755 horsepower. Now that the SRT Viper is gone, the Corvette has no real American competitors. The Grand Sport trim is easily the best version of the C7. We love the Chevy Corvette. Faster and better handling than a car at that price has any right to be. The current C7 is a marvel with its naturally-aspirated V8, 7-speed manual transmission, and the kind of performance reserved for cars that cost two to three times more. But the truth of the matter is that the Corvette just doesn't sell very well. 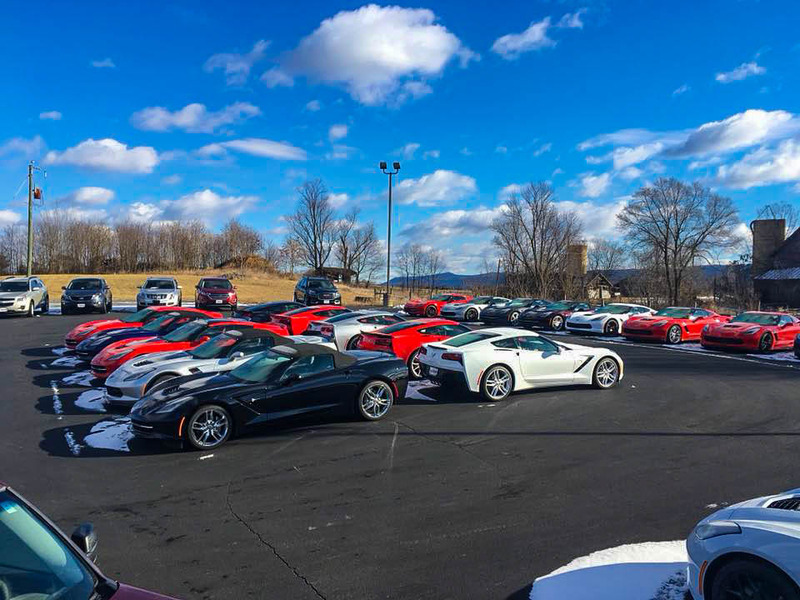 Recent reports show that upwards of 9,000 new Corvettes are sitting unsold on dealer lots. That's hard to believe, considering the fact that when the 7th-generation Corvette bowed a few years ago, pretty much everyone loved it. It kept the spirit of the 'Vette alive with its long hood, signature quad taillights, low slung profile, and big V8 power. It even boasted the best interior the model ever saw, and the performance per buck was off the charts. The mid-engined C8 is currently undergoing testing. It'll be the Ferrari of 'Vettes. Some of the problem behind the poor sales is because of the climate. No one is really looking to buy a high-powered, rear-wheel drive sports car when the polar vortex has beaten up most of the country. Plus, the new C8 Corvette is expected to be unveiled in the near future with spy shots of it in testing all over the internet. The current 'Vette is reaching the end of its life. The C8 will go on sale next year sometime, and buyers are no doubt waiting to see what it can do. It will be mid-engined for the first time, giving it even better performance. The base car may actually be called the 'Manta Ray' and house a modified version of the current engine but this time with 520 horses. The top end car may get a powerful twin-turbo V8, and rumor has it that it will best cars from Ferrari and Lamborghini. The Jaguar F-Type is another niche car that's spectacular but doesn't sell well. But to sell, cars have to be more than great. Hell, even awesome cars like the Jaguar F-Type sells only about 300 cars a month. Sports cars just aren't big sellers because they're niche. Hardly anyone drives them every day, especially if you see four seasons like we do here in Chicago. Performance crossovers and SUVs are where the money is, but carmakers still need halo sports cars to show off and market as part of brand image. The Corvette easily fits that bill, and we can't imagine Chevy getting rid of such an iconic model. Once we thaw out, Corvette sales will probably pick up a little, especially in light of deals that are being offered. As we get closer to the release of the C8, discounts will probably be even more dramatic. The 'Vette really is an 'affordable' supercar and one that will deliver thrills for years. Maybe now's the time to think about getting that dream car?